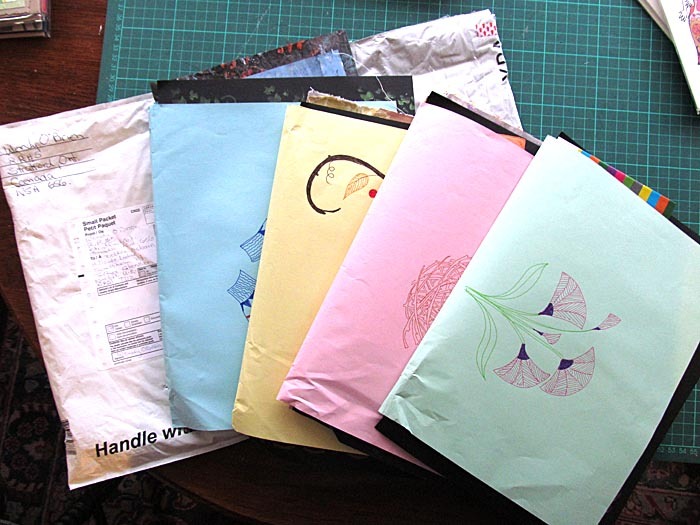 Here’s some lovely mail I’ve received in the last few days. 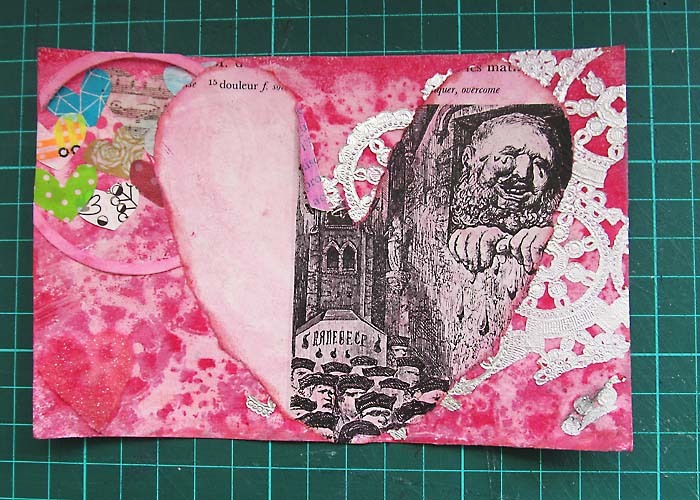 Loving this scary valentine from Laura! 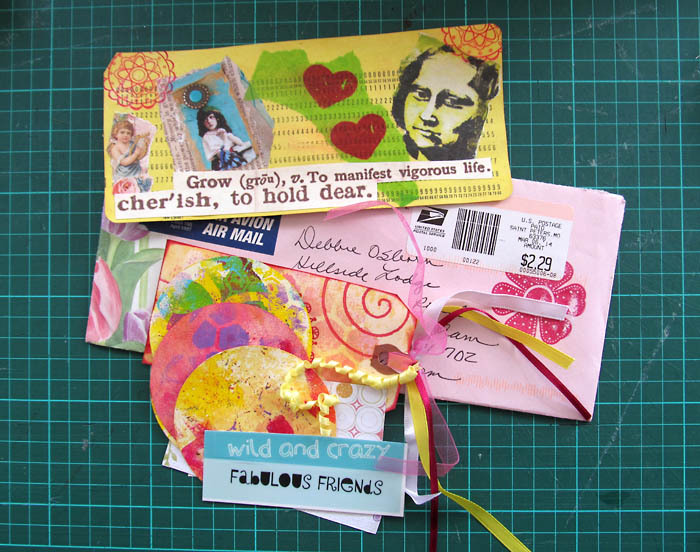 Beautiful mail art from Nancy…..
and mini paper swap from Paula. 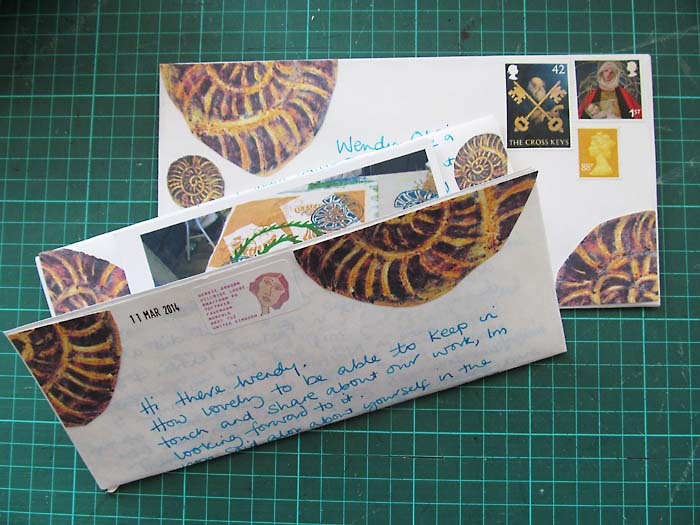 I love sending out Postcrossing cards, trying to send something people will like. Most people list there favourite things on their profile, so I can hunt through my stash and find something they will like. 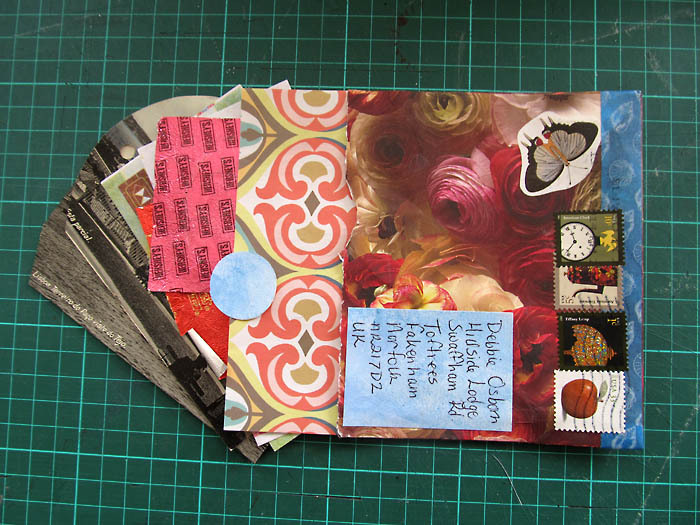 Otherwise I make a new postcard. The first card was to Nina in Belgium who likes old film stills and the second to Sallie in the USA who loves the ocean. The first one here is to Michael in Germany who likes pictures where people live and the second is to Aileen in Ukraine who likes cows. 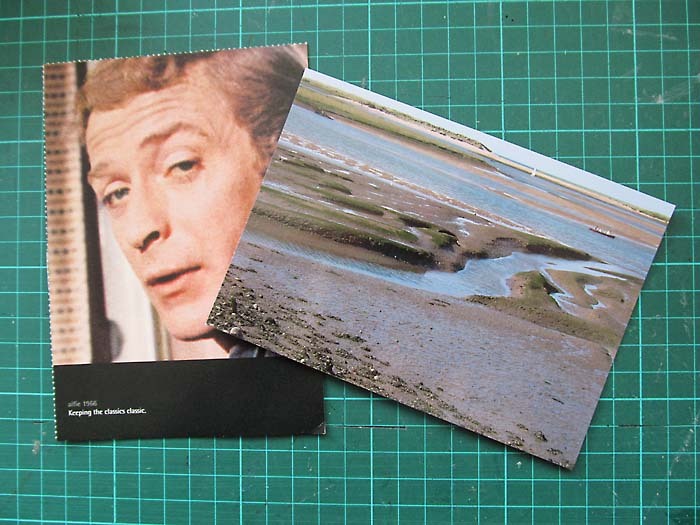 It’s good to think you might be able to make someone happy with a postcard. 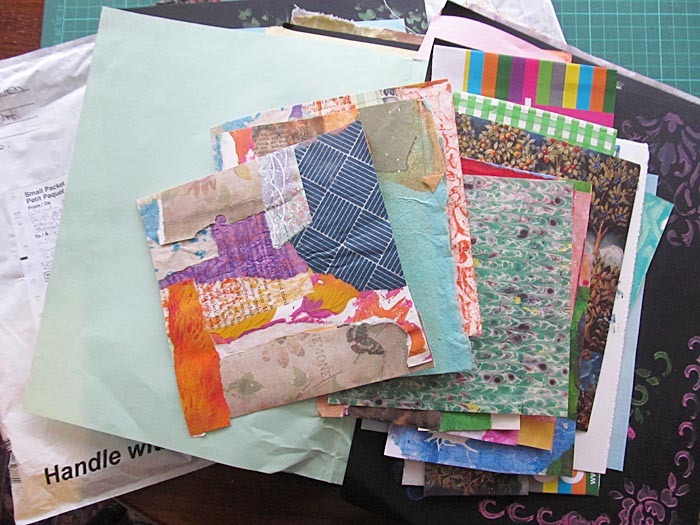 This next letter is to Wendy in Canada who was a paper swap partner and we decided to try and keep in touch and share about what art projects we are doing with each other. 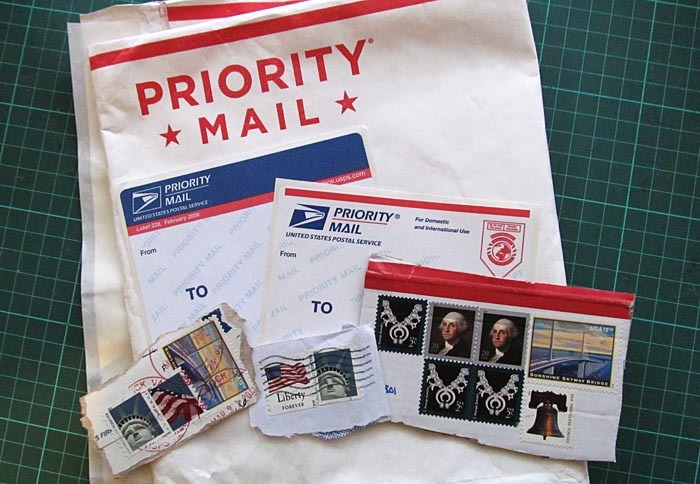 I’ve been getting some lovely mail and hope to show you as much as I can of it. 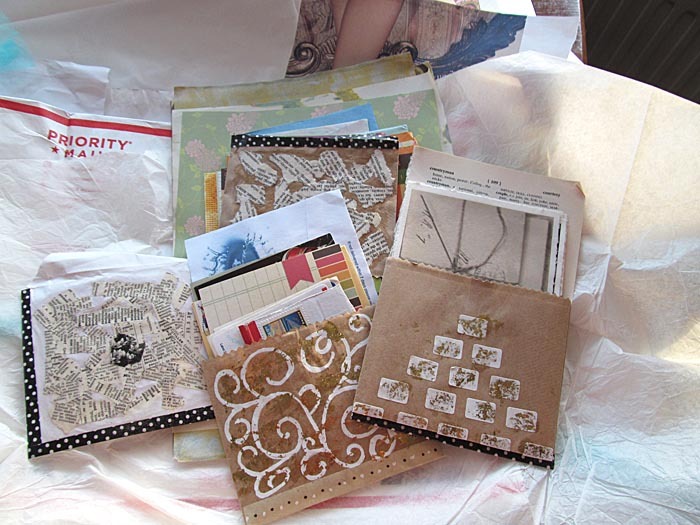 This is my January paper swap from Brandi in the USA. It arrived a couple of days ago. 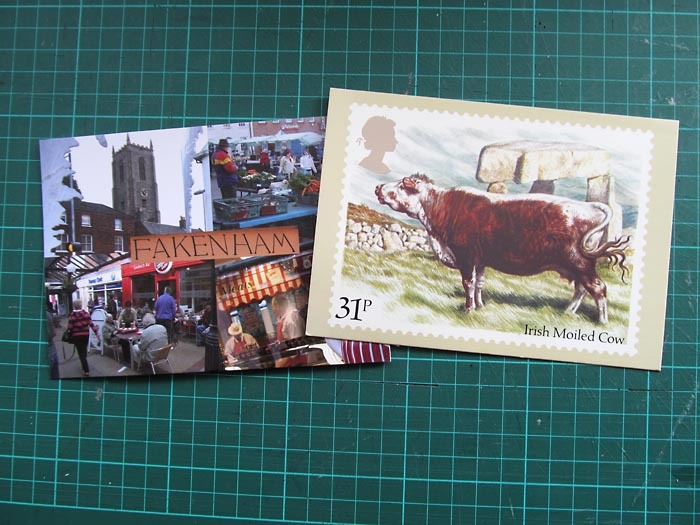 These are a couple of yummy’s I sent out recently. The first to my lovely cousin Vicky in Gloucestershire, UK, who wanted to know about our new chickens. 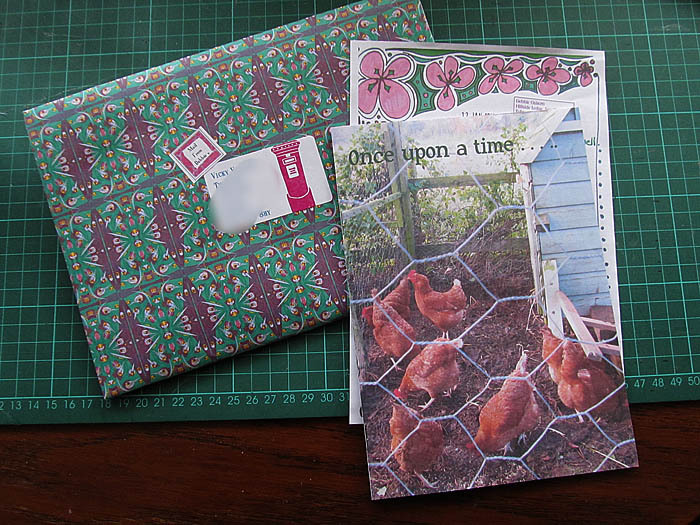 I’ve made chicken zine No. 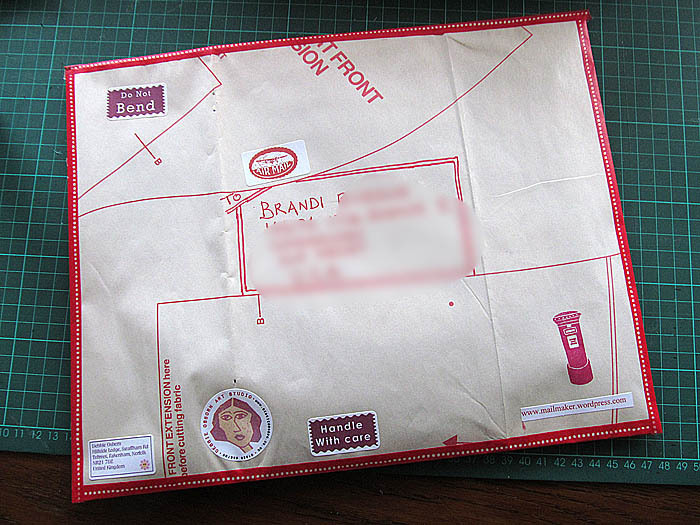 3 and I sent her that with a letter and pretty envelope 🙂 (I very rarely send plain envelopes now). 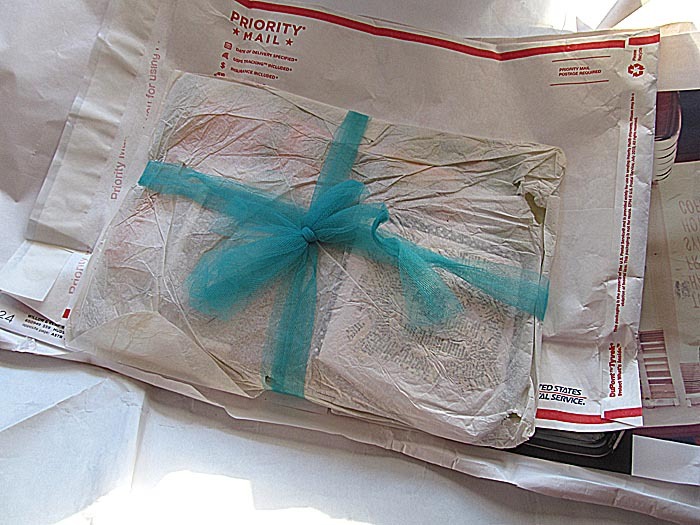 This package is a paper swap for Brandi in the USA. 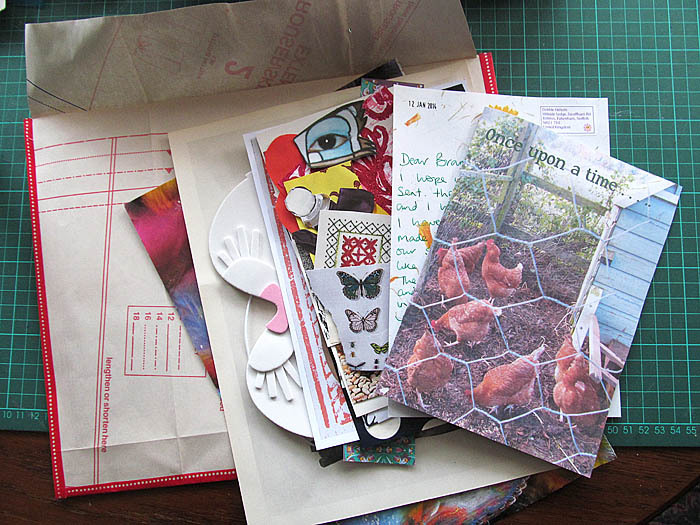 Brandi is into self reliance the same as me, so I’ve sent her a chicken zine along with her papers 🙂 If you would like one of my chicken zines with your mail, just let me know!